All it takes to move up in any organization is time, dedication, and the willingness to learn something new. While the last requirement might come from experience gained by years of dedicated service, the gaining of knowledge becomes more literal in the healthcare industry. Furthering your education is a requirement if you want to move up the healthcare ladder. This may require you to be open to learning more about data entry programs and developing a proper plan in order to figure out how to best tackle your career goals. It might also require you to specialize a degree you already have or learn more about new technology coming in. Below is a look at some of the best ways to improve your status in any healthcare career. When thinking about becoming a nurse, most people only think of CNA or RN as the end all, be all. That whatever you go to school for, you’re stuck with your degree for life. Well, that simply isn’t the case. In a career as a nurse practitioner, there are specific steps you must take, but the first one or two steps are in no way the end of the line for the aspiring nurse. Just to get your foot in the door can take as little as a few weeks to a few months and from there all you need is a strong dedication to what you’re doing and a passion that leads you onward for years to come. You can start your journey up the ranks with a career as a CNA. This is the most entry level position you can have as a nurse. Take a look at local colleges and you’re sure to find a CNA program that will fit your schedule. As easy as it is to become a nurse, you can finish the program in as little as two weeks to a couple of months through most local programs. 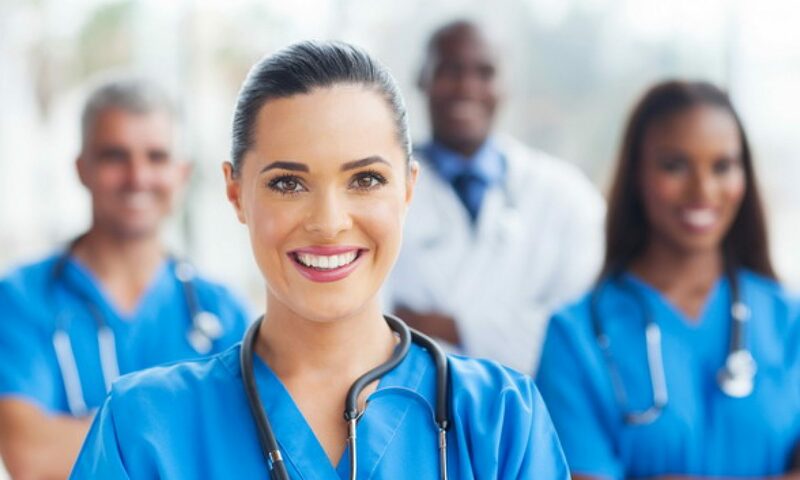 As a CNA, you will gain invaluable knowledge that will fuel your career moving forward and you can gain an idea of what it’s like as a practicing nurse without dedicating too much time and energy toward a four-year degree. As you get started in this process be sure to educate yourself in new software and technology. According to Integrity Support, most EHR Software are fairly simple to learn and once you have mastered one you can move on to know more. Should you experience life as a CNA and decide you are ready to move forward, the next logical step would be to achieve your degree as an LPN (Licenced Practical Nurse). As an LPN you will be given much more responsibility than a CAN, but not as much responsibility as an RN (Registered Nurse). Most LPN programs last up to a year. RN programs, whenever you’re ready to tackle the ultimate responsibility as a nurse, can last anywhere from two to more years depending on the requirement of the hospital you’re hoping to work for. Working in healthcare is always a rewarding career, but getting started moving up in position or within the ranks can be difficult. Just make sure you are prepared and willing to learn more and take more schooling and courses to get your foot in the door.